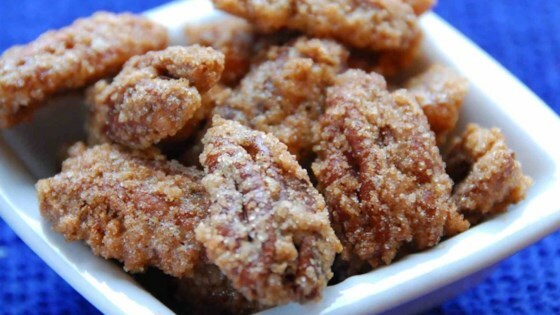 "These sweet pecans are wonderful snacks for any occasion." Preheat oven to 250 degrees F (120 degrees C). Grease one baking sheet. Bake at 250 degrees F (120 degrees C) for 1 hour. Stir every 15 minutes. See how to make the perfect sweet snack. I used 1 cup Splenda in place of white sugar and it was great!